Annapolis Brothers Power Washing has been serving the residents of Anne Arundel with experienced power washing solutions for more than 15 years. We also serve Severna Park and all the rest of Anne Arundel county. With our years of experience, we can do it all. We provide high quality services that include power washing and pressure washing your deck, siding, brick, and roof. Not all power washers do the same quality work. Choose Annapolis Brothers Power Washing for a company that understands that the importance of quality work. We aim to satisfy our customers 100%. It gives you the service you deserve but it also means a good referral to your friends and family that keeps us working next week. We appreciate the business from each of our customers, and thank everyone for the great reviews. True or False: Mold and algae on your home is not a big deal. The answer: False. Mold and algae are living things. Did you know that they feed on the limestone in your roof? 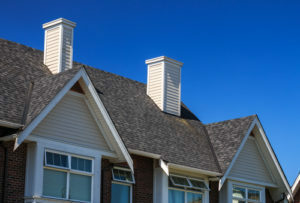 It is the tar and asphalt that waterproof your roof, but the cheap limestone is there to give asphalt roofing shingles their heft, preventing them from flying off in a windy storm. Killing and then removing the mold and algae will allow your roof to keep the water out, and save you from an early roof replacement. Power washing mold and algae streaks off a roof is NOT just for looks. While anyone can perform simple exterior cleaning duties, it is safe to say that removing mold, mildew and grime is a task better left to the experts! If you are putting your house up for sale, doing a spring cleaning, or getting ready for the holidays, we can clean your siding, gutters, porch, side walks and more. Curb appeal is no joke, and can help sell a house, or keep the neighbors happy, or just make you feel like a million bucks when you are entertaining company. Whatever the reason, call Annapolis Brothers today! You have a lot on your plate. By delegating this task, you can spend your time tackling your already long to-do list. People think power washing is easy and that there is not much to it, but we beg to differ. You need experience, the right tools, and the skills to reach higher floors or to properly wash windows without damaging them, and kill mold without killing the plants around your house. Let our experience save you your valuable time. There’s no argument – a clean house compared to a dirty house will win every time. Choosing us to help you clean up the exterior of your home is a no brainer. We want to help you get your home in the best shape possible to get it prepped and ready to sell! A clean house that looks good when you pull up, sells. Period. When it comes to Pressure Cleaning Annapolis Maryland, nobody beats our affordable rates and top notch quality! We proudly offer professional, cost efficient and expert power and pressure washing solutions at properties throughout Anne Arundel County. Our company is fully insured and licensed to provide exterior cleaning at your property. As homeowners, we know how important it is to maintain the beauty of your home, to stay on top of it so it doesn’t depreciate in value over time. For most of our clients, their homes are their biggest investments in life, hence their dedication to keep them running smoothly and looking their best. We have focused on gathering together a very tight team of experienced experts and because of this we are proud to say we have a solid team of professionals who’s goal is to leave each customer 100% satisfied. Through proper training and hours of practice our professional techs are fully equipped. Here at Annapolis Brothers Power Washing, we are flexible to travel, whether you are in Severna Park, Anne Arundel County, or anywhere else in Maryland. Contact us Today to See if we Travel to Your Neighborhood! Its time to clean the deck, the one that has faced many cold winters, hot summers, and torrential downpours. Annapolis Brothers is here to provide a highly effective, 100% safe deck cleaning service for you. 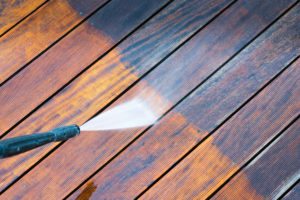 Power washing a deck with a pre-treating of deck cleaner is a great way to get rid of algae and residue that holds water and rots your deck long term. The algae needs to be removed, and the deck has to be protected with stain, paint, oil, or deck restore product to help bead water. If the prep work isn’t done properly, the long term results won’t be good. Let us do the prep work!